Go the distance and seamlessly achieve your running goals – while protecting your body from injury. With plenty of running events coming up on the calendar, the choice is yours – fun run, short, middle, long or ultra distance, trail, triathlon, road, local, international, obstacle, extreme, altitude, desert, snow or beach. Whichever you choose to work towards, each challenge requires a tailored training program to avoid injury and maximise performance. To prepare for an ambitious event, you’ll need a progressive training plan that incorporates distance, terrain, equipment, elevation, intensity, environmental factors and the training time frame. All this will help make sure you are in peak condition by the time of the event to achieve your race target. However, you also need to be careful of increasing your training load too heavily, or changing up your training environment too drastically, without prior conditioning. Going too hard, too soon, can increase your risk of getting injured and losing momentum. "You’ll need a training plan to help make sure you are in peak condition by the time of the event." Sports injuries are commonly caused by either an underlying musculoskeletal weakness, or a biomechanical dysfunction leading to excessive load of bone or tissue. This can occur locally or be referred to adjacent anatomical structures. In other words, the weakness of a muscle or muscle group (eg the posterior chain) can cause overuse of soft tissue structures (tendon, muscle or fascia) or create stress on a related bone or joint. In order to reduce the likelihood of injury as well as improve performance, it’s recommended to follow a ‘building’ program for 6-12 weeks before you start your official training. This pre-event training is focused on fundamentally strengthening, conditioning and improving your technique. To get started, it’s advisable to have a consultation with an experienced sports physiotherapist or sports podiatrist to assess your muscle strength, running technique, biomechanics and footwear. Discuss your goals with your practitioner and they will prescribe ‘homework’ to ensure your body is firing on all cylinders and appropriately conditioned to safely progress your training load. "Choose an event that challenges you, but isn’t an over commitment for your body or life." Red flag symptoms that could indicate significant injury include night pain, swelling (particularly pitting oedema – when you press down on the area with a finger and the indentation remains after the pressure is removed) and/or inability to bear weight. These symptoms require immediate assessment by a musculoskeletal specialist and are your cue to stop exercising until a diagnosis and management plan is in place. If you are feeling consistently tight or sore in one area, it may to be a vulnerable or high stress location that is likely to require more attention than stretching. Visit a health professional for assessment and management. The golden rule for increasing training load is 10% increase per week – and don’t work on distance and pace in the same run. 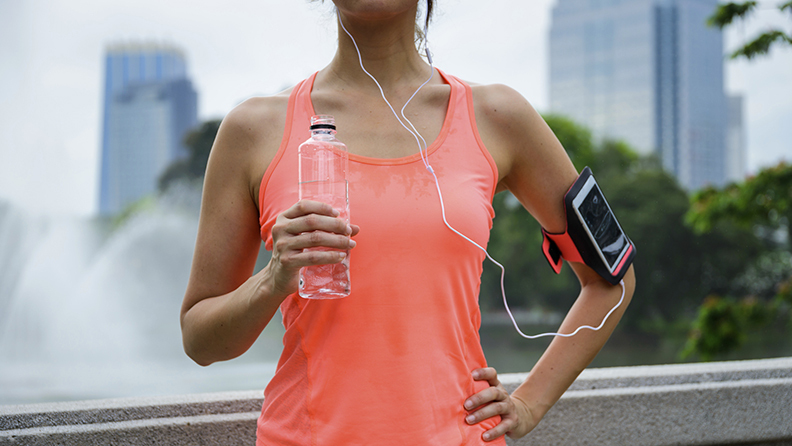 Use apps to help you track your mileage, elevation and pace. Study your stats and weekly progressions to see how you’re tracking against your goals. "The golden rule for increasing training load is 10% increase per week – and don’t work on distance and pace in the same run." A change to your usual training may require a new style of footwear, or you might need to ‘turn over’ your shoes more often as you clock up more mileage. A second pair may be worth considering. Always seek fitting and prescription advice from a reputable running shoe store or sports podiatrist. 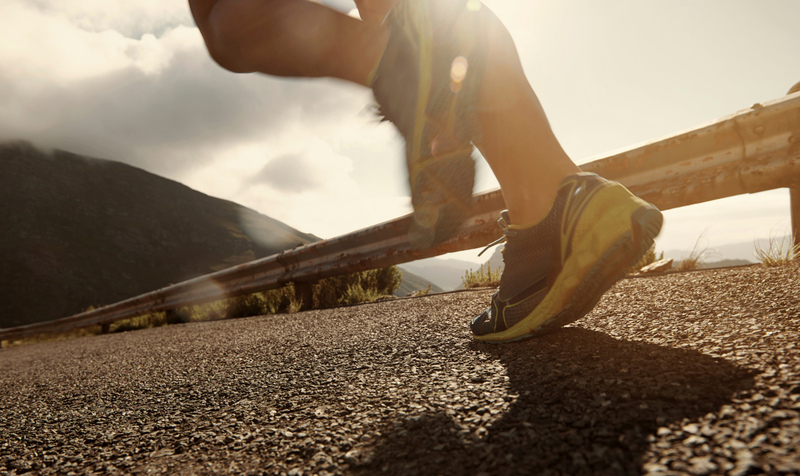 Here are a few things to keep in mind when buying running shoes. Choose an event that challenges you, but isn’t an over commitment for your body or life. It’s a good idea to build up your events so you are starting with a base level of fitness. For example, start with 10 km, then half marathon, full marathon etc. This helps make training enjoyable, not a chore. Morning or lunchtime runs are invigorating and have many physiological effects that last the entire day. "Schedule times to train that fit with your life. This helps make training enjoyable, not a chore." Don’t fast-track your training program to make up for missed sessions. If you have had more than two weeks off, rewind your program the same number of weeks. Is there a reasonable amount of time to train for it? What is the elevation? Do you need to carry a pack? If so, what do you need to carry? Is there a ‘cutoff’ duration it must be completed in? What season is it? What is the terrain? The answers to these questions will guide your training plan so you are optimally conditioned. Check out the event website and search for running blogs to arm yourself with knowledge and inspiration. Also, most events supply a generic training program (but note that these assume you have undertaken your ‘pre-training’ program first). If you want more guidance, seek help from a running coach. Medibank is proud to be the naming rights partner of the 2018 Medibank Melbourne Marathon. Click to find out more about this year’s event, access free training guides for all distances, plus more tips on how to prepare for your run.